We’re on our way! Two days later than planned, thanks to us both coming down with flu during the week. But we’re feeling a bit better, so have taken the plunge and driven north to the Drovers Inn at Inverarnan, just north of Loch Lomond. Luckily the outside temperature has risen to a more comfortable level after a warm front passed over northern Britain today. Scotland had overnight lows of down to -15°C over the weekend, but tonight is a relatively warm (if rather damp) 1°C. 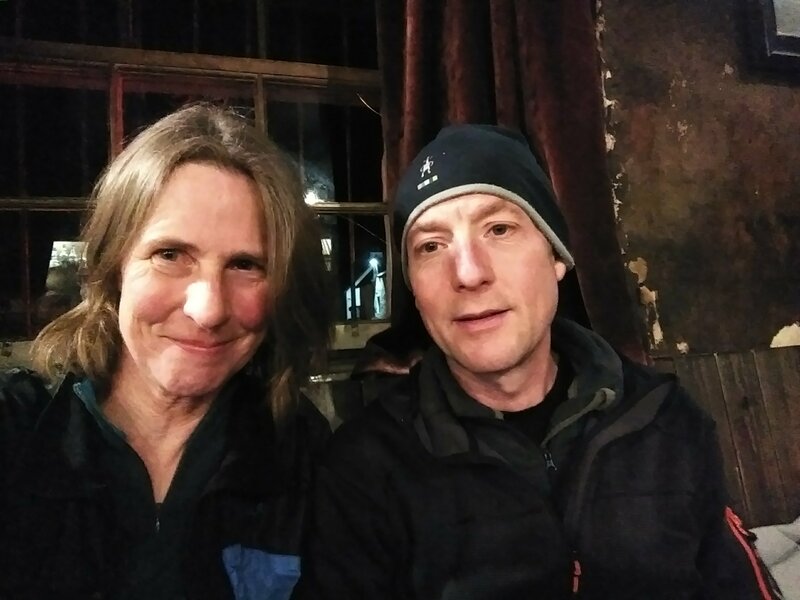 So we’re enjoying a couple of pints in the Drovers, then early tomorrow morning we’ll stick our thumbs out and start the long hitchhike to Mallaig. After the long delay we’re really looking forward to getting going! Great to see you both have the bit between your teeth, on a new adventure. I stayed at Drivers many years ago and my bed had no legs, it was supported on beer crates.